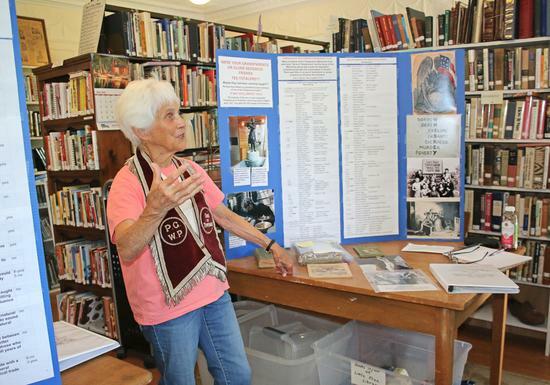 The Sargentville Library hosted a display during Touring Through Time weekend on July 28 and 29 about local men’s involvement in the Temperance Movement of the late 19th and early 20th centuries. The movement discouraged people from drinking alcohol and pushed for clean, accessible water as an alternative. The movement eventually led to Prohibition, which began in 1920 and lasted until 1933. 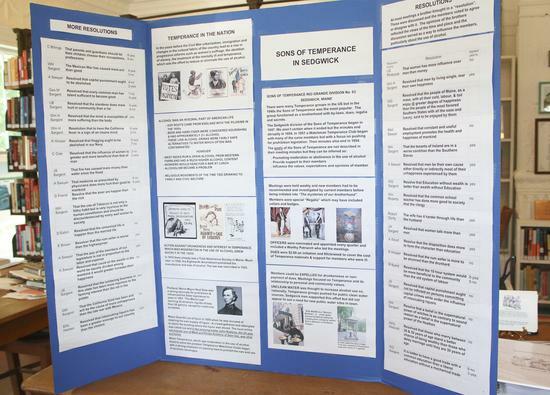 Names of the Sedgwick men involved in the movement and various artifacts were on display at the Sargentville Library. The North Sedgwick Baptist Church also took part in Touring Through Time, with an open house Saturday afternoon. 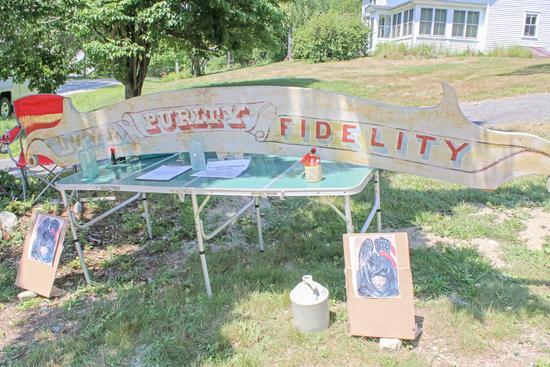 A handcrafted sign from the early 20th century depicting a call to abstain from alcohol on display at the Sargentville Library during Touring Through Time weekend on July 28. Diana Marston Wood, president of the Sargentville Library Board of Trustees, explains the Temperance Movement in Sedgwick during Touring Through Time weekend on July 28 at the Sargentville Library. A list of some of the resolutions passed by the Sons of Temperance in Sedgwick on display at the Sargentville Library during Touring Through Time weekend at the end of July. Some of the resolutions said that women talk more than men, and that the wife has it harder in life than the husband.